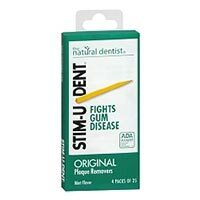 Soft, safe, flexible wooden cleaners shaped to clean between teeth and stimulate gums. Dentists recommend daily use (after eating) for maximum benefit. They can be used as an alternative or as a supplement to daily flossing.